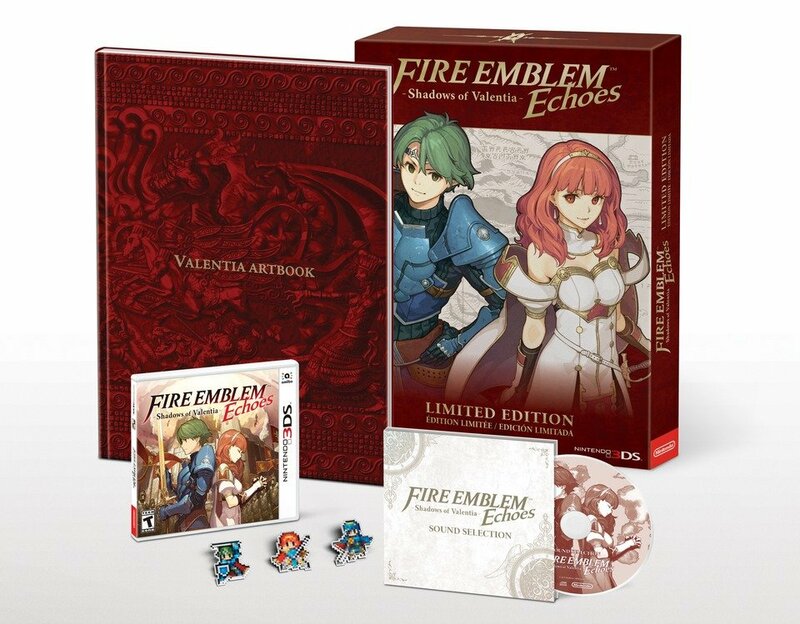 Grab the Shadows of Valentia Fire Emblem Echoes Limited Edition Bundle! Fire Emblem Echoes: Shadows of Valentia will release on May 19 as a Nintendo 3DS exclusive title. Players who want to get more out of their game can grab the Limited Edition version of the game. It seems like more and more games are releasing Limited or Special Editions of games. Usually if it comes with a soundtrack CD, I don’t usually care but let’s be honest here, The Legend of Zelda: Breath of the Wild Special Edition shouldn’t be 100 dollars but that’s another topic for another day. Gamers who decide to purchase the Limited Edition of Shadows of Valentia appear to get a lot for their 60 dollars. You get a hardcover Valentia Artbook; Shadows of Valentia Sound Selection CD (they know me so well), Shadows of Valentia Pin Set with Alm/Celica/Marth, and a reversible cover sheet that looks like the original Famicom game cover. At the same time, Alm and Celica Amiibo will be releasing and these Amiibo will activate special dungeons in the game. If the Limited Edition isn’t your thing, the standard edition of the game sells at retail for 40 dollars.